I’m on the board of the Phoenix Zoo because I believe that our zoo, and zoos worldwide, are doing essential work to help secure a better future both for humans and for animals. If you think of your zoo as an enjoyable place to take yourself and your family on a Sunday afternoon, you’re right. But I hope you see zoos as something more. Relationship to nature. We want to give the people of Arizona, particularly children and teens, the opportunity to grow in their understanding of how their lifestyles affect other species. Inspired citizens.We want Arizonans and those who visit the zoo to be inspired to learn more, to act and to become “raving fans” of our zoo and the mission of reputable zoos worldwide. Conservation. We want to be a leader in conservation and to instill in others, particularly government and community leaders, the value of conservation. We are dedicated to repopulating selected species threatened by extinction, and we support the improvement of habitat. Exhibition and collection. We exhibit animals and simulate their natural habitat, and we are committed to advancing our capacity to do so. 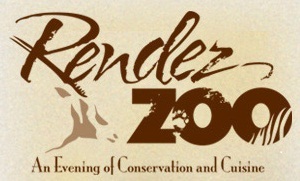 If you’d like to do something for the Phoenix Zoo, and for yourself, check out our online auction, which is tied to our upcoming fund-raising event, Rendez-Zoo. You’ll find items at all price levels, including art, books, jewelry, sports equipment and much more. Whether you live in Phoenix or not, you can take part. Thanks for taking a look! the people of Arizona, particularly children and teens, the opportunity to grow in their understanding of how their lifestyles affect other species. This entry was posted in Society, Sustainability and tagged auction, Phoenix Zoo. Bookmark the permalink.